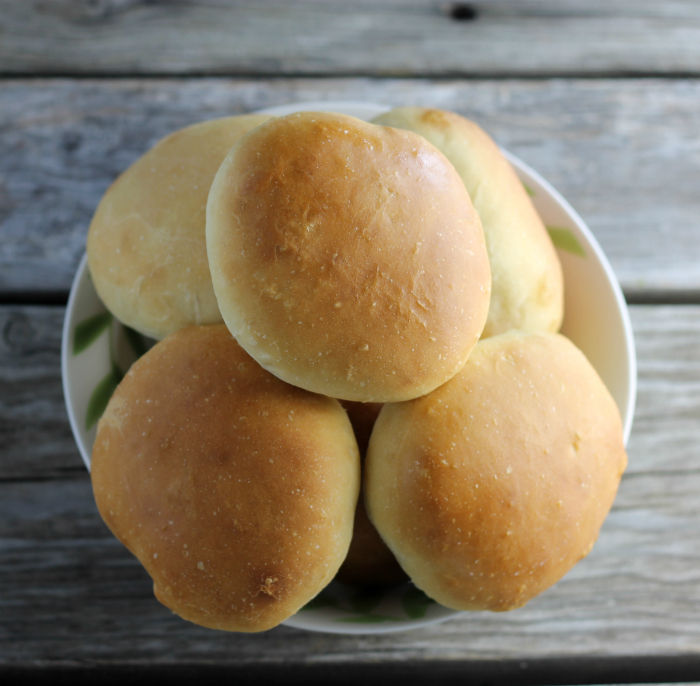 Fresh homemade sandwich buns will make any sandwich that much better. Happy Wednesday!! It’s downhill from here, to the weekend. When I get this point of the week I start thinking of the weekend. Yeah, I can’t wait. How about you? Earlier today I was thinking of what I would say for this post. If you look around my blog you will see there are several or maybe many posts with different bread recipes. I am not sure if I have said all there is to say about homemade bread, making homemade bread, and eating homemade bread. But I do know that I love making homemade bread. I have been making yeast bread since I was a teenager. I am sure that it stems from my mom, who made tons of bread in her lifetime. 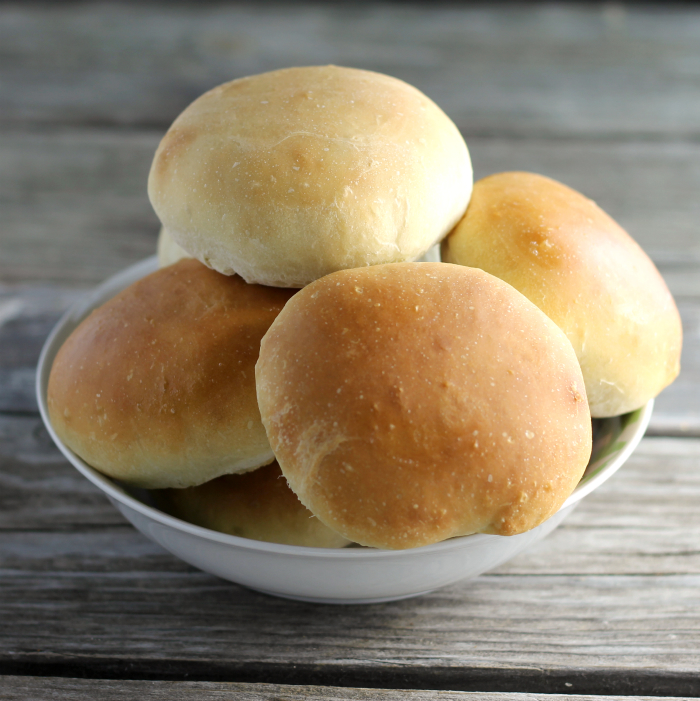 There is nothing as good as to have fresh homemade bread or buns with a meal. I was making shredded beef for dinner this past Sunday and decided that I would make some homemade sandwich buns to go along with the beef. 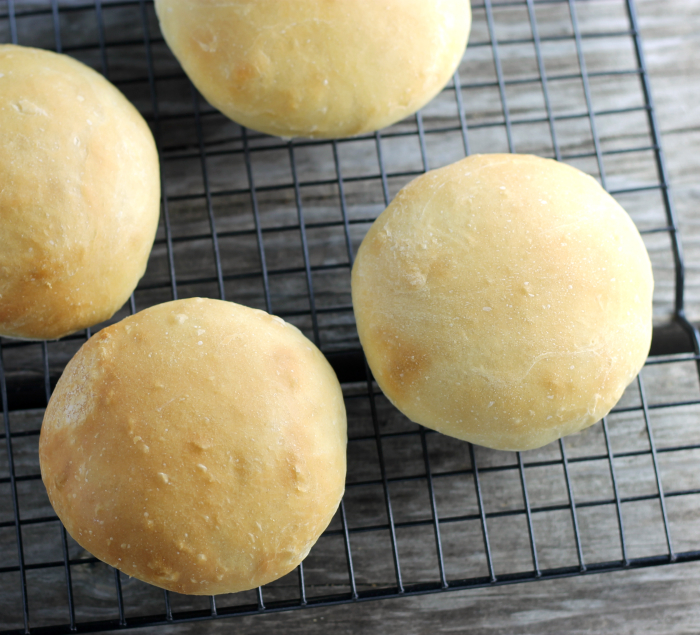 These sandwich buns are pretty basic when it comes to buns. I did change out the sugar for honey and added olive oil for the shortening. They make any sandwich so much better, but don’t feel that you have to use them for a sandwich; they are as equally yummy with a slather of butter on them. In a large bowl combine the yeast, honey, water, and oil let it and let set for 10 to 15 minutes. Add 2 cups of flour and the salt, stir in with a wooden spoon. Once the flour and salt are combined with the yeast mixture gradually added the rest of the flour. As you add the rest of the flour knead the dough with your hands. Once you have a dough that is slightly sticky to the touch you know there is enough flour in the dough. Continue to knead the dough (if you have a large enough bowl knead the dough in the bowl) until the dough is smooth. Oil the bowl, form the dough into a ball and turn once to oil both sides. Let the dough rise for 1 to 1/2 hours or until about double in size. Once is done raising divide into 12 portions and form into balls. Place on a prepared baking sheet, that has been greased and flattened the ball so you have a disc. Let the buns rise for 30 minutes. 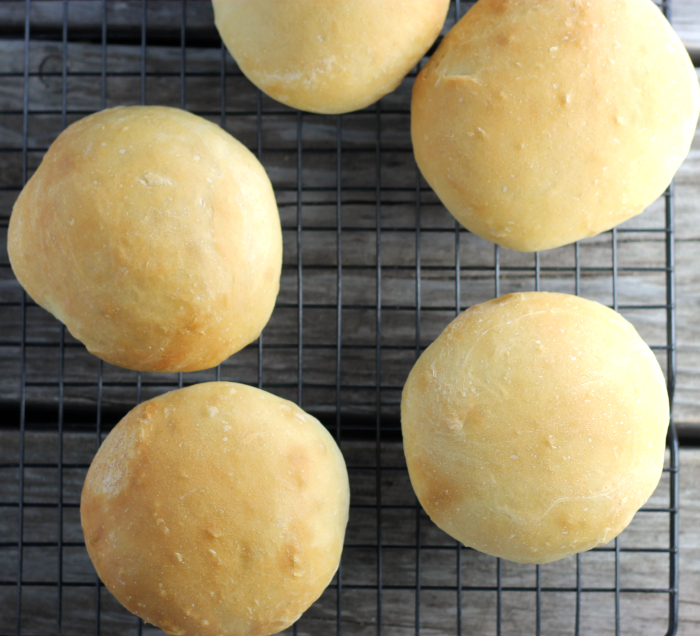 Preheat oven to 425 F. Bake the buns for 13 to 15 minutes or until golden brown over the top. Serve with your favorite sandwich filling or serve with butter. WOW! They look so cute and perfect! YUMMY! these buns look delicious Dawn!! These would be a huge hit at my house. And how great would they be filled with pulled pork on Superbowl Sunday? YUM!